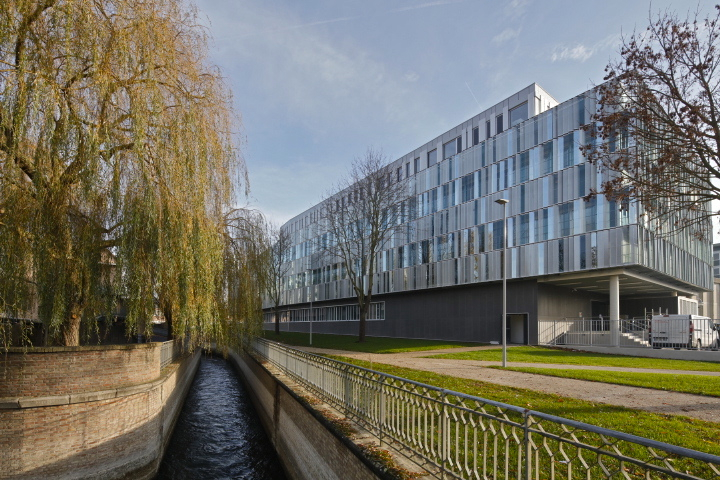 The design for the institute building responds in a material and formal manner to the features of the Saint-Leu district and the city of Amiens, which is characterised by its past as centre of the early textile industry. In harmony with its location and function as a research facility for electrochemical energy storage, this building mediates the basic ideas of research, exchange and reception with a sensitive, simple statement concerned with good use of the space. A large glazed façade marks the entrance area. 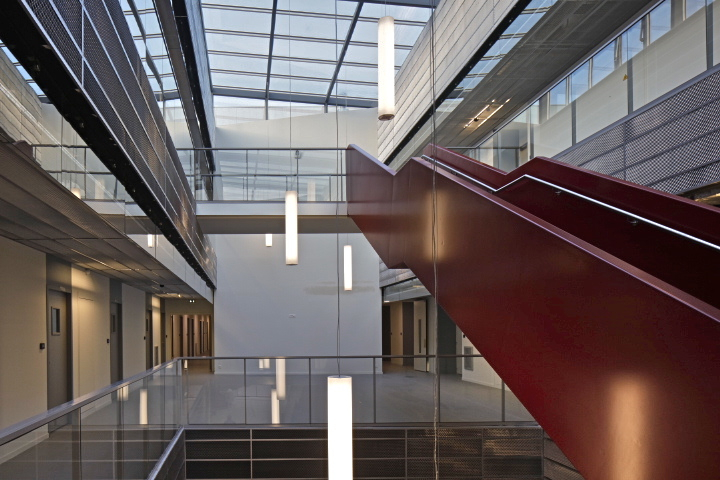 As soon as they arrive in the entrance hall, visitors and researchers can make visual connections with every floor of the multi-storey atrium, thus discovering relationships between the individual research levels. The exterior façade appears as a play of vertical layers in which fixed glass sun protection lamella in aquatic colours alternate with perforated metal lamella. To acknowledge the industrial past, the materials employed are not noble or precious, but practical and durable.